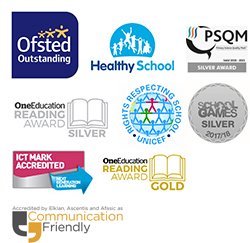 “At Crossacres Out of School Care Club, we provide the highest standards of pastoral care and child protection and have effective home/school links to enable us all to work in partnership. Children have a right to an environment that facilitates their development and maximises their potential. They have a right to be cared for in an environment that is happy and supportive. Our Holiday Club runs during the school holidays from 8:00am – 6:00pm. It is open to all children between the ages of 3 to 11 years. We take a maximum of 32 children in Holiday Club and we have four members of qualified staff on duty at all times. We provide high quality, stimulating care in a safe and secure environment outside of school hours and seek children’s contributions towards our planning in order to provide fun activities for all. Please feel free to contact school should you require a break down of our day or to have a look at our wonderful facilities. Holiday Club Costs: £25.00 per day (20% reduction for the 2nd child). Please note for the payment reference, please use your child initial, surname and HC. For example, J.Jones HC. Click the link below for the Holiday Club application form.